L 77. 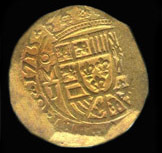 Viceroyalty of El Peru, mint of Lima, 1712 M four escudos. 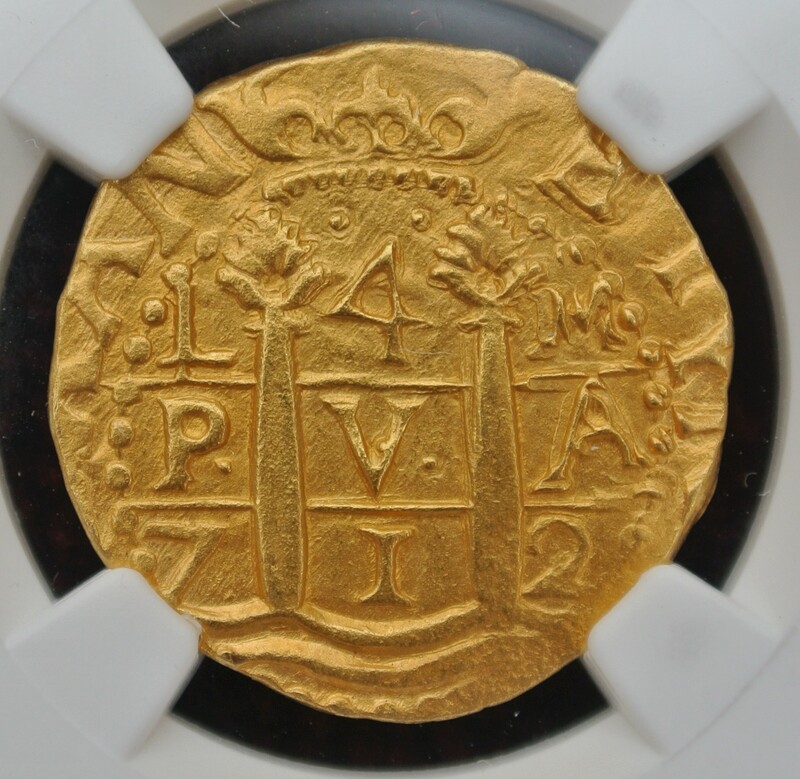 Before the salvage of the 1715 Fleet, the Lima 1712 four escudos was not known to exist. Fifty-two years of work on the Fleet have yielded exactly four specimens, all apparently traceable to Real 8's work on the Nieves site in 1964-65. 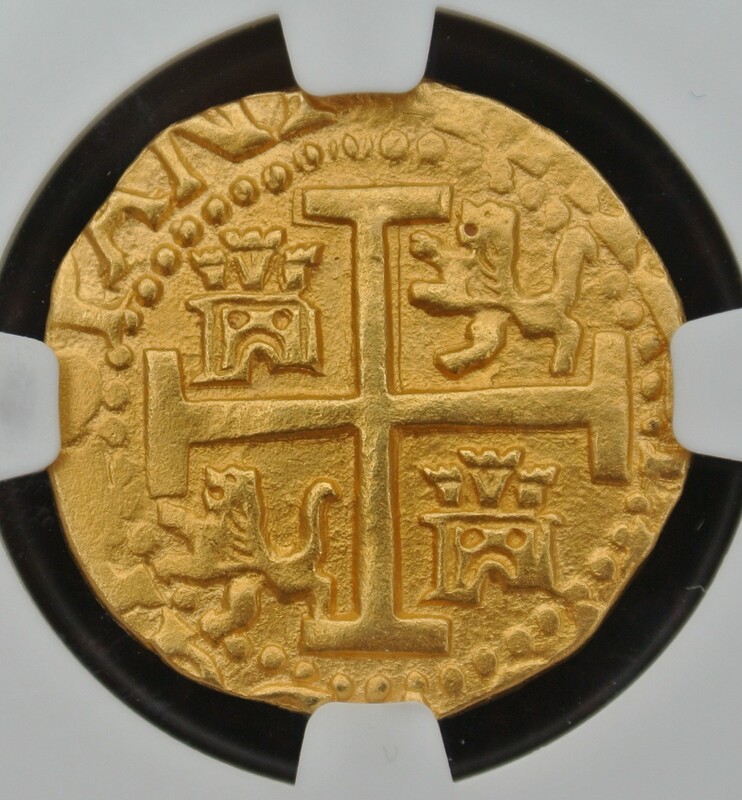 For some reason, the State of Florida did not claim a 1712 media onza in one in those Divisions, and so there is no 1712 four escudos in the Florida State Collection. Real 8 auctioned a less attractive 1712 four escudos in its February 1967 Parke Bernet Sale (since graded NGC AU 55, accurately I believe). 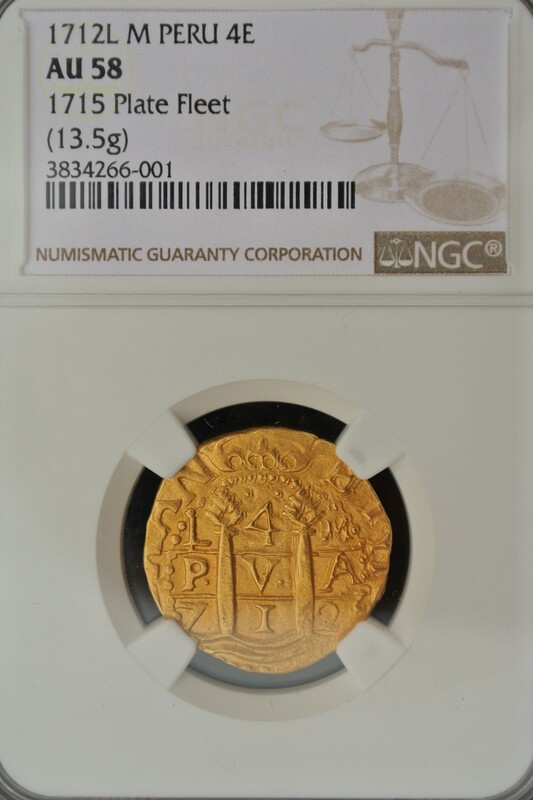 Another 1712 four escudos was sold privately by Real 8 in 1972 (since graded NGC AU 55). This coin came from Real 8 privately a year later and has never seen public sale. The quality of this media onza speaks for itself. It has high relief, bold detail and great centering. Pillars and cross jump out at you. The surfaces are lustrous and pristine with absolutely no trace of circulation or mishandling. Why NGC has called it an AU 58 in its first visit to that grading services is a complete mystery to me. It is without question a choice MINT STATE coin. One of the challenges for advanced Fleet collectors is a "Lima date set", comprising an eight, four, two and one escudos of the same date. For most dates the obstacle is finding a four escudos. Original mintages were typically in the 1000-2000 coin range. For quite a few, dates no fours survive; for the other dates, availibity ranges from one to four specimens. Four 1712 four escudos survive, but one has left the country, now absorbed into a large multi-generational collection. This is by far the best 1712 media onxa.